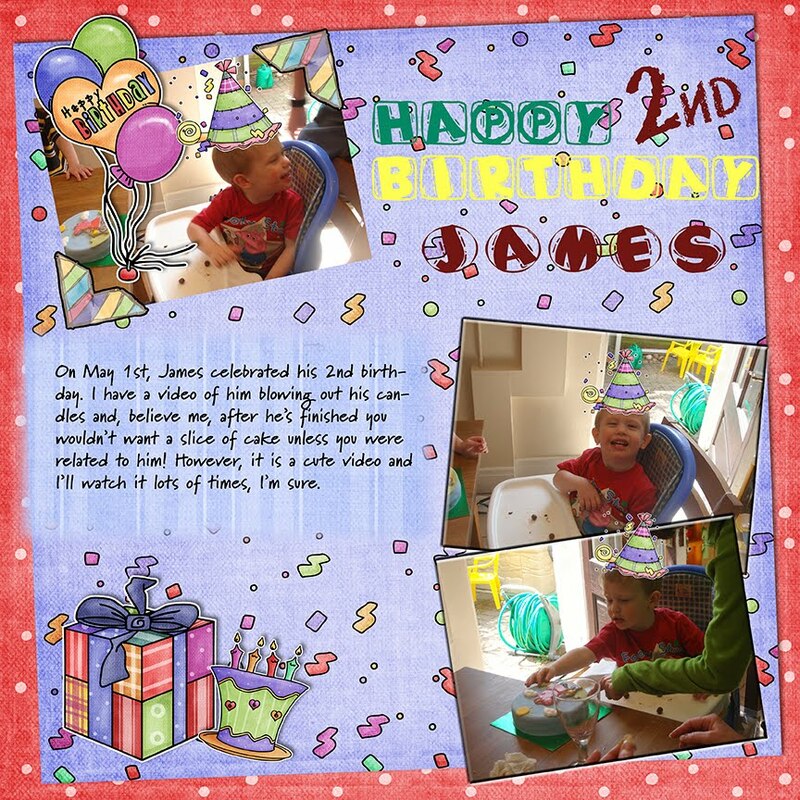 Let's start with James' 2nd birthday which was on May 1st. In my defence, I only just received these pics and movies when Tiff returned from her vacation in England and brought me the thumbdrive with 200 pics and movies. 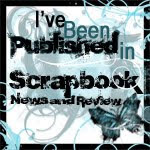 And, because I'm up to my eyeballs in kitchen renovations, my creative mojo has deserted me for a bit. I was hoping to put a movie in here, but for some reason it won't upload. I'll check into that and come back if I figure it out. I did create a layout for James' birthday, though.